At the invitation of Berklee alumnus, Oriol Saña, I served as a guest artist at the 2018 Barcelona Fiddle Congress, hosted by the Escola Superior de Musica de Catalunya. Every two years, this Congress gathers leading improvising string players to share their artistry with participants of all ages. This year’s faculty included American string wizards Mimi Rabson, Christian Howes, and Casey Driessen, alongside more than a dozen Spanish virtuosi and French jazz violinist Fiona Monbet. 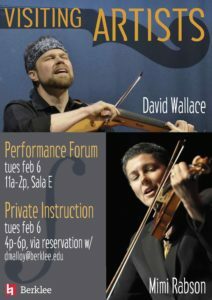 If you couldn’t attend, but wish you had, you might appreciate my articles on mastering Blues, Texas Fiddling, the Free Jazz of Leroy Jenkins, and Walking in Mozart’s Shoes. During the conference, faculty shared and refined a notation system for percussive bow chopping. We will make this document available in the near future; stay tuned! 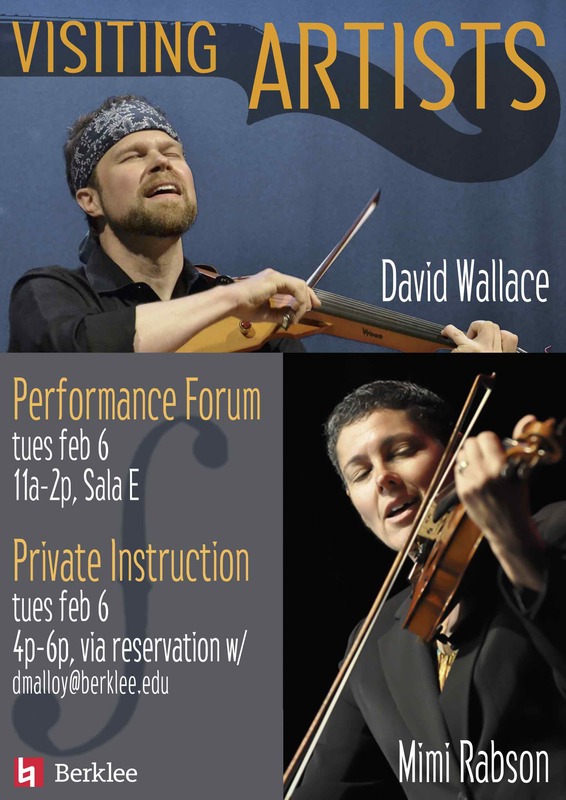 Following the Barcelona Fiddle Congress, Mimi Rabson and I traveled south with Casey Driessen. At Berklee’s Valencia campus, Casey serves as Program Director of the Masters Degree in Contemporary Performance (Production Concentration). During our visit, Mimi and I taught private lessons, visited labs, observed recording sessions, and coached diverse bands. I also met with Berklee administration to discuss our new first-year abroad program. Truly, I fell in love with Spain, its culture, its music, and its people. I cannot wait to return!